You are now been redirected to our delivery partner, Flora2000.com to complete the transaction. Click here if this page is taking too long to load. 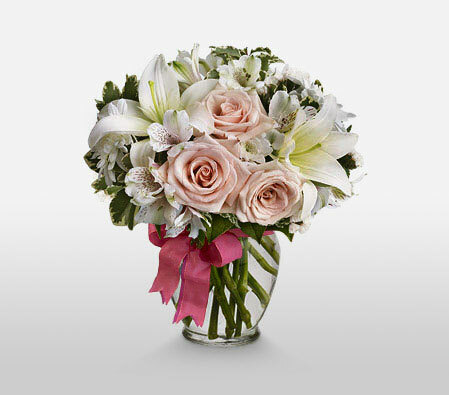 Roses, Asiatic lilies and alstroemeria in shades of pale peach and snow white are arranged in our clear glass vase trimmed with a pink ribbon.